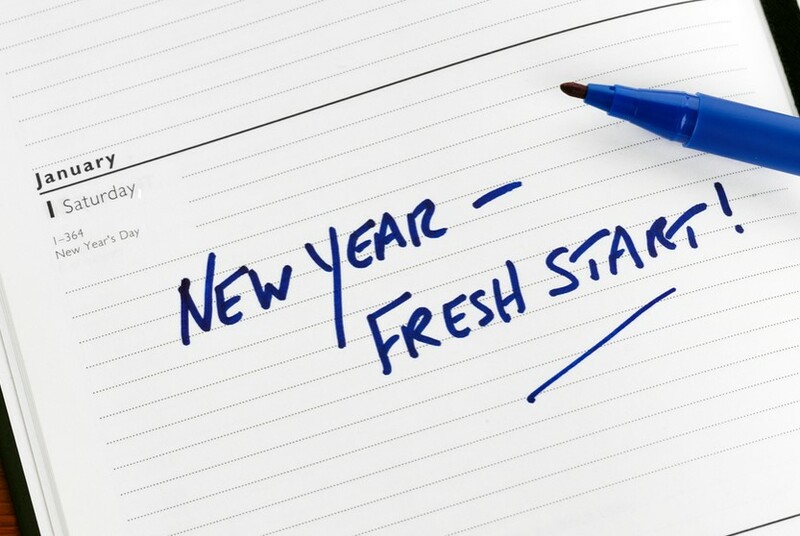 If your New Year's resolutions from last year have gone unresolved, you're not alone. Now a New Year offers another opportunity to achieve your goals, and these nine tips should help you keep to your New Year's resolutions. 1. Make it something you really want. Don't make it a resolution that you "should" want or what other people tell you to want. It has to fit with your own values. "Put some thought into it," says Richard O'Connor, author of "Happy at Last: The Thinking Person's Guide to Finding Joy." And avoid knee-jerk New Year's resolutions, he says. "I encourage people not to make cheap resolutions, but to save it for something meaningful." 2. Limit your list to a number you can handle . "It's probably best to make two or three resolutions that you intend to keep," says O'Connor. That way, you're focusing your efforts on the goals you truly want. 3. Be specific. "To be effective, resolutions and goals need to be pretty specific," says O'Connor. Jettison the amorphous "exercise more," in favor of "I'm working out at the gym Monday, Wednesday and Friday at 5:30 p.m."
4. Automate. Automating financial goals can maximize your odds for success without you having to do anything, says Keith Ernst, director of research for the Center for Responsible Lending in Durham, N.C. If your goal is to save $3,000 this year, calculate the amount out of each check, then arrange to have it automatically deposited into your savings account each time you get paid, says Ernst. 5. Make a plan. Rather than stating one daunting goal, create a series of smaller steps to reach it. "Have an action plan," O'Connor says. "Figure out exactly what you want to do." If you need immediate rewards, here's a suggestion. "Ask yourself: What are the short-term goodies?" says Susan Wilson, co-author of "Goal Setting: How to Create an Action Plan and Achieve Your Goals." For example, if you want to exercise regularly and love spending time with your friends, getting the group together to walk regularly could give you a short-term payoff and help you meet the long-term goal, she says. 6. Be prepared to change some habits. One reason that resolutions fail is people don't change the habits that sabotage them, says Rosalene Glickman, author of "Optimal Thinking: How to Be Your Best Self." One potent approach is to realize that all you ever have is the present moment. So ask what you can do now that will get you closer to your goal, says Glickman. It could mean trade-offs such as sacrificing an hour of couch time for your new goals. "That's how you get resolutions implemented," says O'Connor. Another good strategy is to arrange your life so you don't have to wrestle with temptation, he says. 7. Write down the goal and visualize it regularly . Writing and visualizing are effective tools for fulfilling a goal because they fix it firmly in the subconscious, says Stephen Covey, author of "The 7 Habits of Highly Effective People." And if you write down your goals, put them in a prominent place where you'll view them frequently, such as on the fridge or on your desk. Glickman keeps her important life goals and priorities on her computer's screen saver. That way, "I have to see them," she says. 8. To tell or not to tell? Having someone hold you accountable can be a powerful tool. "In general, making a public commitment adds motivation," O'Connor says. Skip the naysayers, but if you have one or two people in your life who will act as cheerleaders or coaches, share the goal with them, says Wilson. 9. Forgive yourself. If you fall off the wagon, jump back on. Many people fall into the trap of believing that if they stumble, they should give up, says O'Connor. The truth is you don't have to wait for next year or for some magic moment. Instead, realize that "slipping is part of the process," O'Connor says. Then, get back to your goals.